Sound & Cinema. Credit Roger Ho. Join locals under the shade of the tall pecan grove for Austin-inspired home-cooking, cocktails, sunshine and unplugged performances by some of Austin&apos;s hottest live acts. Love classic movies? The Paramount Theatre has been running the Summer Classic Film Series for more than 40 years. Visit their website for the full schedule of 100 beloved cinematic treasures that are gracing the theater&apos;s big screens. Now in its 16th season, the Austin Symphony Hartman Foundation Concerts in the Park are held in front of the Long Center on Sundays throughout the summer at 7:30 p.m. Concert styles include strings, woodwinds, big band and brass. Willie Nelson will return to Circuit of The Americas for his 44th annual Independence Day picnic and music fest. This day-long event features a star-studded lineup, headlined by Nelson himself, and a patriotic fireworks display at the end of the night. Zilker Summer Musical: "All Shook Up"
Enjoy the free, annual musical at the Zilker Hillside Theatre. The outdoor amphitheater will host a performance of "All Shook Up" Thursday through Sunday, July 8 through August 18, kicking off around dusk at 8:15 p.m. Formed in 2003 as the only sports league of its kind, Texas Rollergirls are considered the "godmothers of flat track derby" and are an admired and highly visible presence in the roller derby world. Experience the Texas Rollergirls in action this Summer. This July, LIGA MX soccer returns to Dell Diamond for the fourth year when the Tigres take on Pachua! Buy your tickets today for this friendly international match. Watch family-friendly flicks like "Lego Batman Movie" or "Coco" on the grassy knoll or from an inner tube in the 72-degree water at Deep Eddy Pool with the summer Splash Party movie series, Saturdays once a month at dusk. Don&apos;t miss the official unveiling of the brand new rallycross circuit at COTA. This July, get into the action with a full day of rough and tumble action, the first ever RX event to be held on the .5-mile permanent rallycross circuit nestled in the section between Turns 12 and 15. Bring a picnic blanket and your appetite to Trailer Food Tuesdays, a monthly series that showcases some of Austin&apos;s most popular food trucks. On select Tuesdays through August, food trucks will gather on the plaza at the Long Center in the shade of the cityscape while local musicians entertain the crowd. Spend a day in San Marcos, floating the river and enjoying one of the most unique music festivals in Texas. Headliners include major acts such as Tame Impala, Snoop Dogg, Bassnectar and more. Austin City Limits Live’s annual series returns this year, at ACL Live’s sister venue, 3TEN. This free event showcases the best of authentic Austin - local bands, bites, pop-up shops and… you guessed it, vino. The Wildflower Center will celebrate its founder and environmental champion, former First Lady Lady Bird Johnson, with free admission and a variety of family-friendly activities. Come ready to be inspired, both by the landscape and by the legacy of Mrs. Johnson&apos;s lifelong work in Central Texas and the nation. Looking for more summer fun? 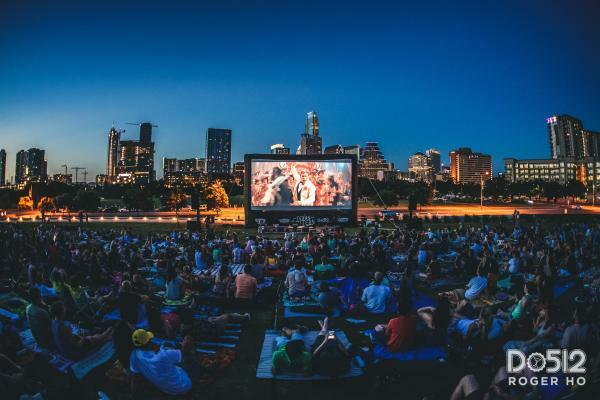 Check out the Insider Blog&apos;s Complete Austin Summer Bucket List!